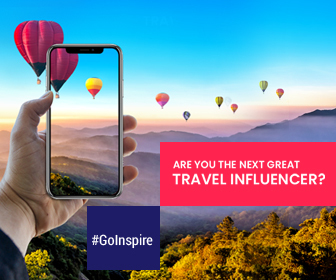 Summer is winding up and winter holidays are few days away – this is the best time to travel, as the northern hemisphere changes into its autumnal slumber while the south awakens into the spring season. With less crowd and discounts on flights and hotels, you are up for a treat. Travelers who’re looking for stirring landscapes, wonderful festivals, late summer sun, October holidays are your perfect relax time. 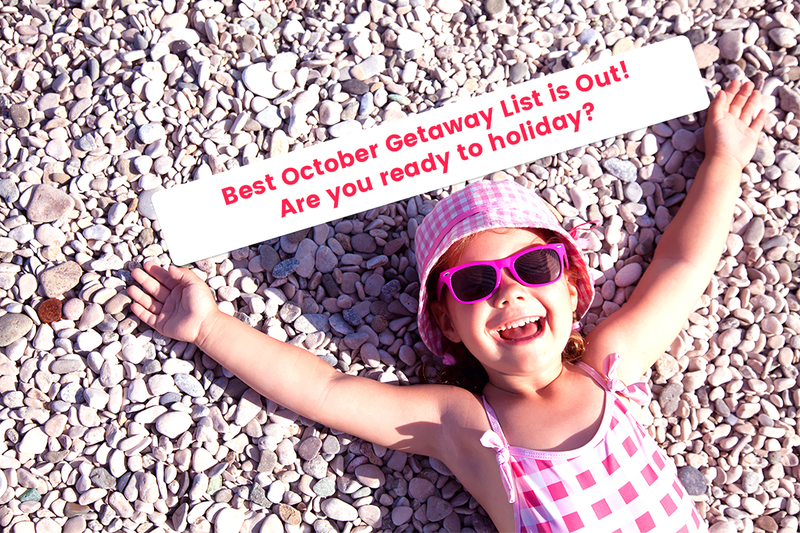 Plan your fall trip to these astonishing destinations to indulge the last rays of summer sun. 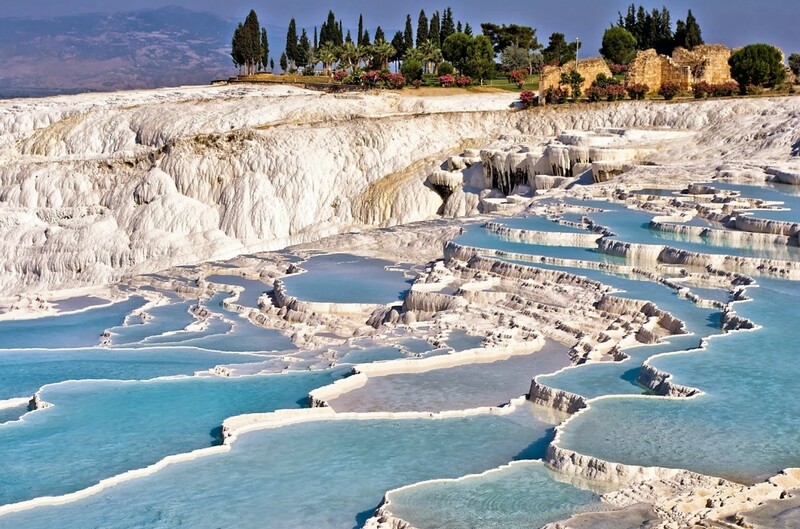 Embark on a Turkish holiday and experience the pleasant region of Antalya during October. The warm days and pleasant nights are awaiting your arrival. Famous for its turquoise waters, shores flanked by luxurious hotels, Antalya must be on your wish-list for October holidays. To reach there: Book your flights to Antalya Airport that is located 13 kms far from Antalya city center. The airport is well connected to major cities around the world. Hotels, we recommend: Lara Otel, Blue Garden, and many more. Check complete list, click here. 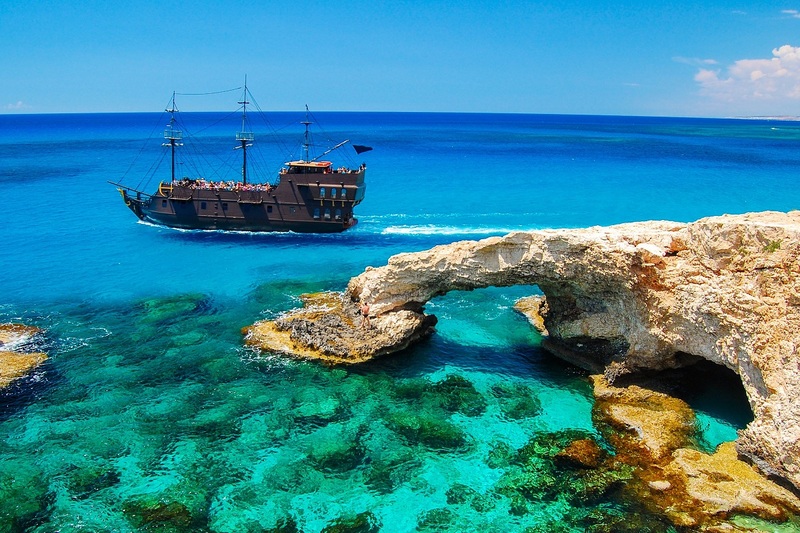 Paphos – the vibrant coastal town of Cyprus is the meeting point of nature, history, art, food, and everything that great travel stories are made of. Rich in culture and history and packed with lush forests, mountains, blissful climate, Paphos is a perfect choice for all types of travelers. To reach there: Book your flights to Paphos International Airport that is located 6.5 kms far from city center. The airport is well connected to major cities around the world. Hotels, we recommend: Alexander The Great Beach Hotel, Eleni Holiday Village, Capital Coast Resort & Spa, Aloe Hotel, Avlida Hotel, & many more. Check complete list, click here. Blessed with idyllic weather Marrakesh can be explored at its best during spring (mid-March to May) and autumn (September to November). 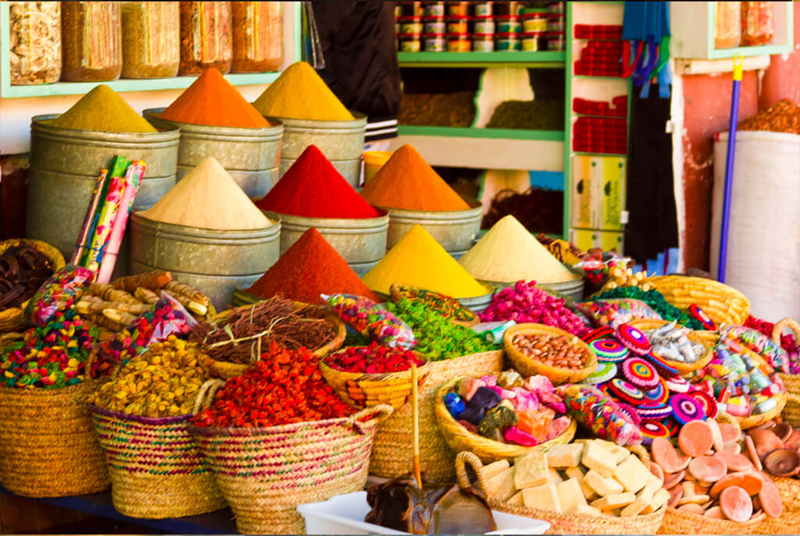 With abundant colorful markets, great history and culture, vibrant music festivals, this Morocco’s red city is an excellent getaway for your holiday. To reach there: Book your flights to Marrakesh Menara Airport. The airport receives several European flights as well as flights from Casablanca and some of the Arab world nations. Hotels, we recommend: Riad Dar One, Riad Rafaele, Sirayane, Riad Nashira and Spa, Riad Olema, & many more. Check complete list, click here. Natural wonders, idyllic landscapes, folklore, secluded coves…it’s not easy to list out the reasons why you should visit the exceptional region of Andalusia for an amazing October holiday. 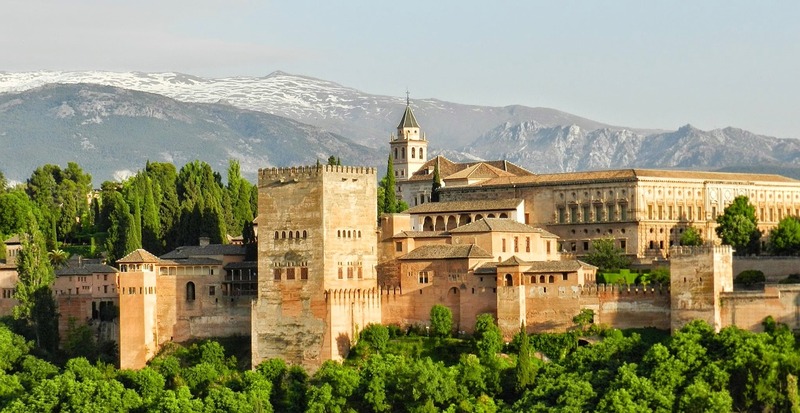 Blessed with sun-drenched cities, Andalusia is filled with full of surprises offering diverse experiences for everyone. To reach there:There are 6 airports in the region. Malaga, Seville, and Murcia are two of the major airports. Hotels, we recommend: Oasis, San Pablo, Pasarela, & many more. Check complete list, click here. Surrounded by mountains, Sarajevo is an excellent point to start when you desired to travel the entire region. Say hello to October holidays in Sarajevo which would captivate your all 5 senses in autumn. To reach there: Book your flight to Sarajevo International Airport. Hotels, we recommend: City boutique Hotel, Hotel Europe, Hotel Telal, Hotel Grad, Hotel Irmak & many more. Check complete list, click here. 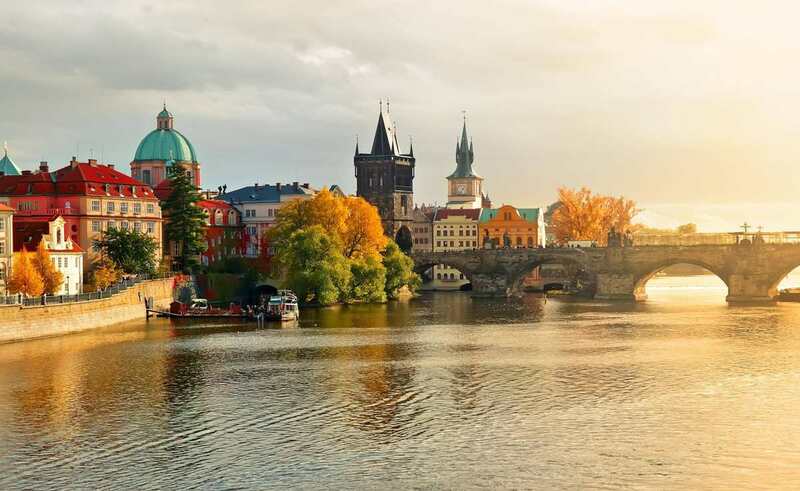 Filled with never-ending surprises, from hidden markets to beauty at every corner, Prague is one-of-a-kind destinations that never fail to satisfy you. To reach there: Book your flight to Václav Havel Airport Prague. The airport is located It is located 12 km west of the centre of Prague and 12 km southeast of the city Kladn. Hotels, we recommend: Mandarin Oriental, Aqua Palace Hotel, Four Seasons Hotel, Majestic Plaza Prague, Radisson Blu Alcron Hotel & many more. Check complete list, click here. 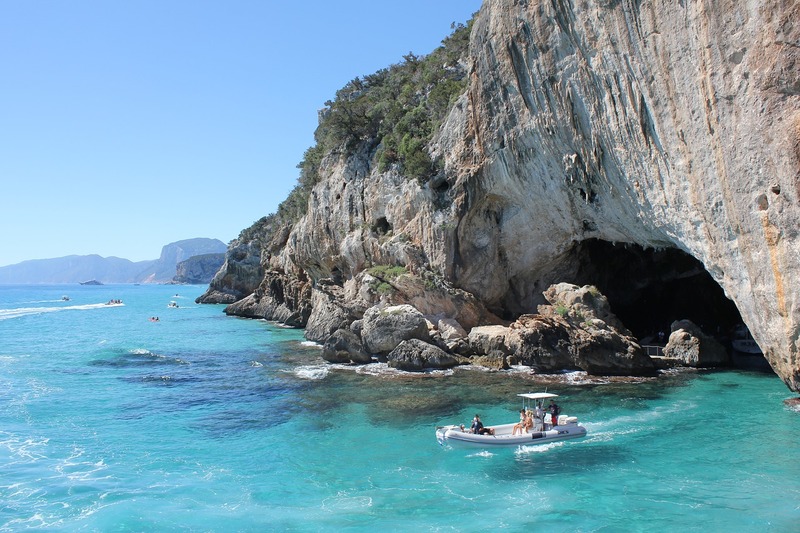 With ideal October weather and less crowded Mediterranean beaches, Sardinia is a perfect getaway to experience its best of everything from hiking, horseback riding, boat trips, and much more. Discover the autumn festival period which is the best opportunity to experience its rich culture and traditions. To reach there: Book your flight to Olbia Costa Smeralda Airport. This is the nearest airport with good transfer options. Grab the late summer tan in Crete, the country’s largest island. Enjoy the longest summers, even for your October holidays. 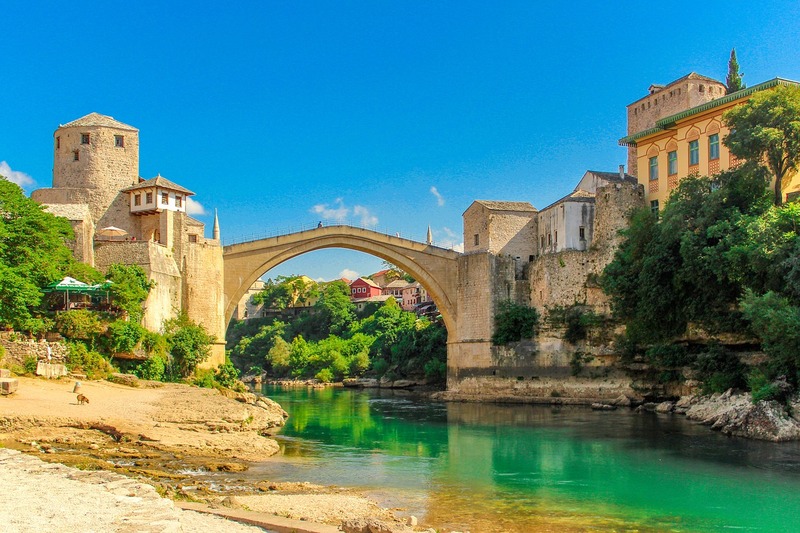 At the same time, you can enjoy mountain treks with cooler temperatures which leave you spectacular views of mountains, plucky pine forests, secluded villages, etc. To reach there: Book your flight to Heraklion International Airport which is just 5 kms away from city centre. 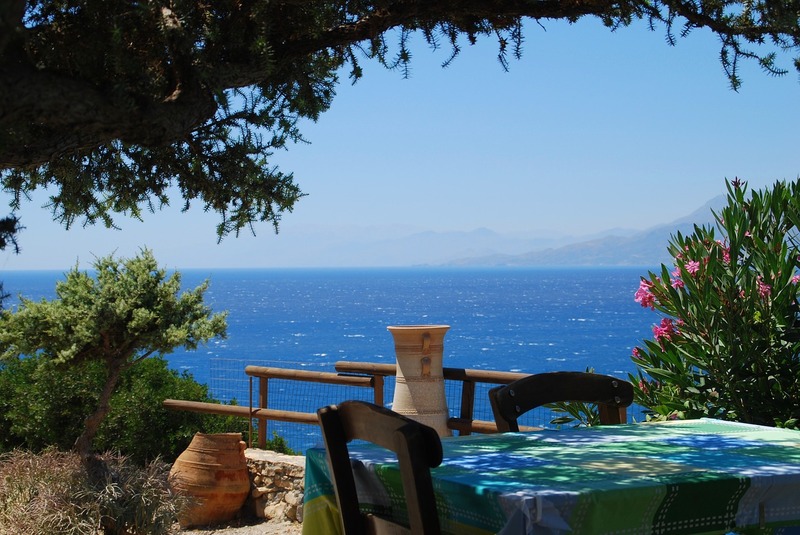 Hotels, we recommend: White River Cottages, Samaria Hotel, Domes of Elounda, Porto Veneziano, Ammos Hotel, Domes Noruz & many more. Check complete list, click here. 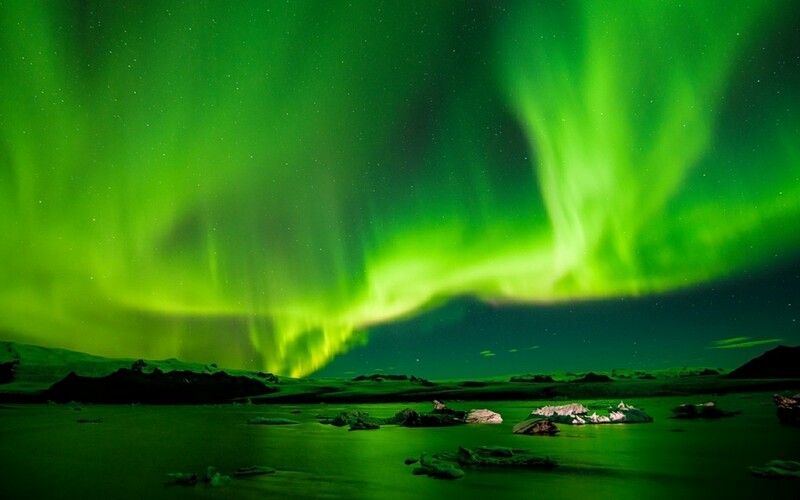 October is a month which is often overlooked when planning Iceland holidays but many find it to be an excellent time to enjoy its spectacular daylight brightness and the northern lights. On a clear October night, tourists have unique opportunities to catch the Northern Lights in Reykjavik. To reach there: Book your flight to Keflavík International Airport, also known as Reykjavík–Keflavík Airport. The airport is 1.7 nautical miles west of Keflavík and 50 km southwest of Reykjavík. Hotels, we recommend: 100 Iceland Hotel, 101 Guesthouse, 41 A Townhouse Hotel, A Part Of Reykjavik Apartments – Brautarholt, Alda Hotel & many more. Check complete list, click here. A destination of dreamy seascapes and dramatic mountains, Dubrovnik is a wonderful Croatian destination for October holiday. 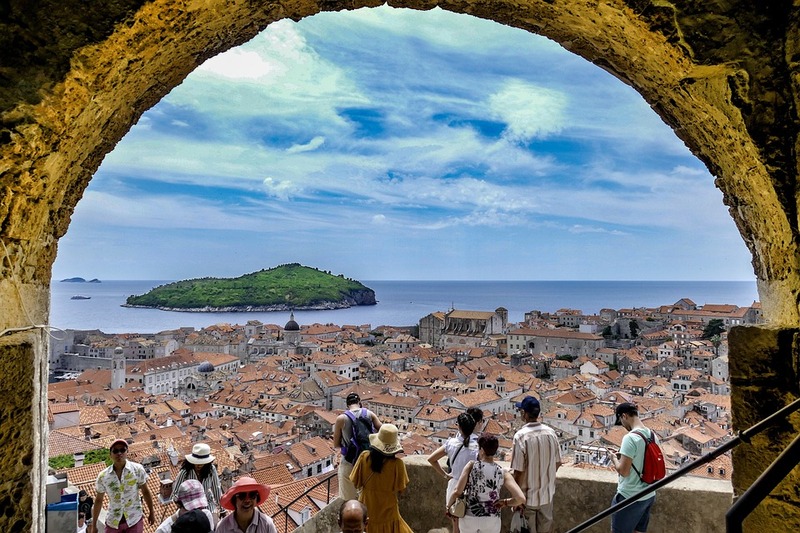 The combination of unspoilt nature, well preserved centuries-old architecture, and ever-growing number of music festivals, Dubrovnik promises rewarding moments for every traveler. To reach there: Book your flight to Dubrovnik Airport, also referred to as Čilipi Airport. The airport is located approximately 15.5 km from Dubrovnik city centre, near Čilipi neighborhood. Hotels, we recommend: Sheraton Dubrovnik Riviera Hotel, Hotel Kompas Dubrovnik, Hilton Imperial Dubrovnik, Hotel Neptun & many more. Check complete list, click here. What’s your call for October?